We take pride in the fact that we have solved many of our customers' long standing roof problems. 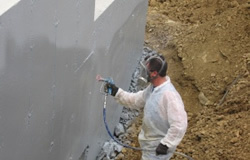 With waterproofing experience in brick, cement and concrete, we ensure impermeability under all conditions. Virginia Beach Roofing Co. has over 34 years of practical experience in commercial, industrial and residential roofing systems in the Eastern Virginia Region. We are a full service, fully licensed and insured roofing contractor installing, repairing, and water proofing roofs in the Hampton Roads Area. We are a specialized roofing company focused on traditional and contemporary roofing systems. Our customer base is comprised of quality-conscious people that want an excellent job completed on time and on budget. 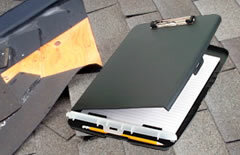 Virginia Beach Roofing prides itself as being an honest and reliable company. Our preventative maintenance program protects your investment. With regular inspections, Virginia Beach Roofing Company will find potential problems and solve them before they cause significant damage. When we arrive to inspect your roof, we will provide you with a detailed assessment and a comprehensive scope of work based upon your waterproofing needs. Schedule a visit with us today. Virginia Beach Roofing exceeded all requirements! Virginia Beach Roofing Company has provided multiple capital improvement re-roofing projects to many our assisted living community centers in Hampton Roads. 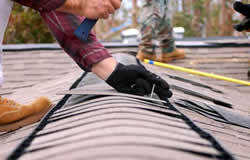 The complexity of re-roofing an occupied nursing center is a daunting task. The specifications and scope of work as set by Virginia Beach Roofing exceeded all requirements in maintaining waterproofing standards throughout these facilities. We have always relied on the Virginia Beach Roofing Company! Needed my Wood shake roof replaced after 20 years. Wanted to switch to tile roof. Viriginia Beach roofing had exactly what I was looking for at the right price. It is a quality service that they offer and I am very happy with my new rooftop! Virginia Beach Roofing is the best around. I needed a few things fixed....gravel flat roof and slate repair. And Michael from Virginia Beach Roofing did just that. He has done a great job for a lot of people and I am very expressed with the quality of work. Finally...quality work! I have worked with a lot of contractors. Virginia Beach Roofing is a real class act! We had some roofing problems with our building and need themresolved. After getting quotes from three local companies we went with VIRGINIA BEACH ROOFING. They had the best price and warranty. They got the problem solved. Thanks guys great job. -- Clarence / Maintenance @ M&G Electronics. 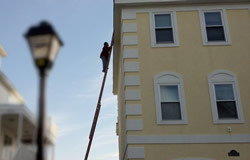 Virginia Beach Roofing, went beyond the extra mile in installing our new roof. He demanded the highest quality from his staff and he personally inspected every facet of the job to guarantee that quality. This is the company to turn to for a reasonable price, a quality product and a professional oriented drive to exceed customer expectations. With overall responsibility for Facility Management for a leading Hotel/Resort Developer and Management Company in Virginia Beach, Virginia Beach Roofing has been a longtime preferred vendor for roofing services and repairs for our company to support multiple Hotels/Resorts/Office buildings in Virginia Beach. © 1999 - 2014 by vbroof.com, All rights reserved.